Happy Earth Birthday, Carole Provenzale! She was born on December 17th, 1954. I say earth birthday because Carole (mom) passed away in 2010. Since that time the understating of "loss" has transcended into un-attachment (which is so FREEING!). Naturally, sadness wells up here and there, yet I find every year, I am more present with my daily focus and with those who truly add value to my life and I to theirs. I give thanks to your guidance as a young child and lady growing up. Even during these times as needed I can feel your presence. Thank you for mentoring me and preparing me for life. Your wisdom has helped establish a solid platform to build upon. Keep journeying well! 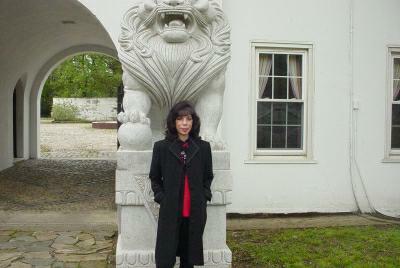 Feng Shui expert with 20+ years of experience. She provides bi-coastal consultations and workshops for residential, real estate developments, Fortune 500 companies, and healing facilities. She is currently conducting research for her upcoming book that focuses on bridging the gap between the ancient wisdom of Feng Shui and modern day science to establish the practice of Feng Shui as a credible form of health care.